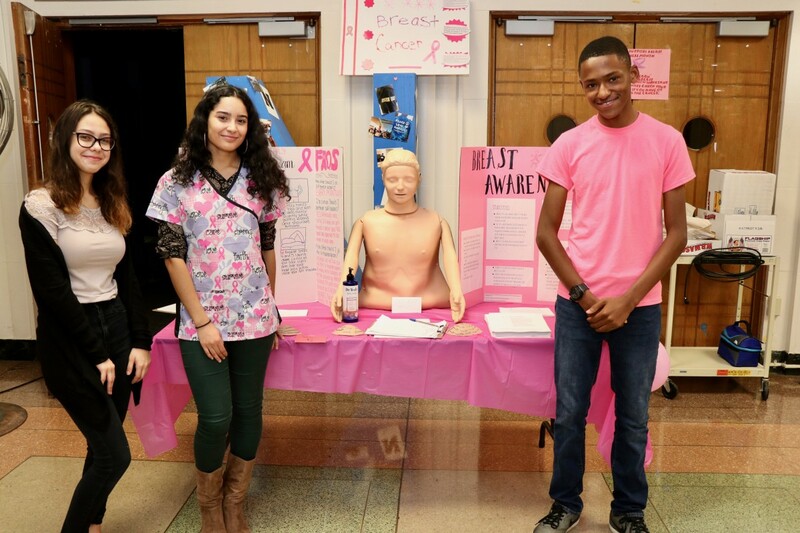 Mrs. Linda Romano, 2018 ACTE Teacher of the Year, and scholars in the Certified Nursing Assistant (CNA) are on a mission to educate their peers, teachers, and visitors to their high school building about the warning signs of Breast Cancer. 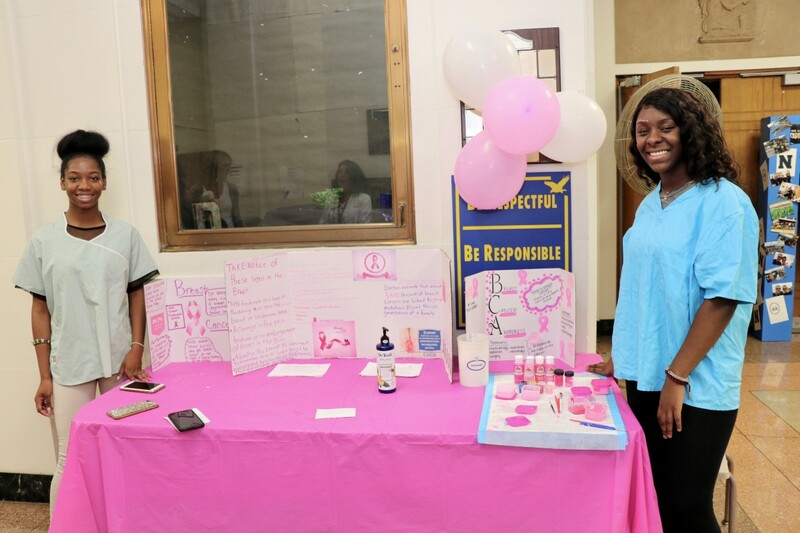 In honor of Breast Cancer Awareness Month, the group of scholars set up in the lobby of Newburgh Free Academy, North campus to educate anyone who passed by. Scholars set up tables that led participants through different activities that educated visitors and celebrated survivors. 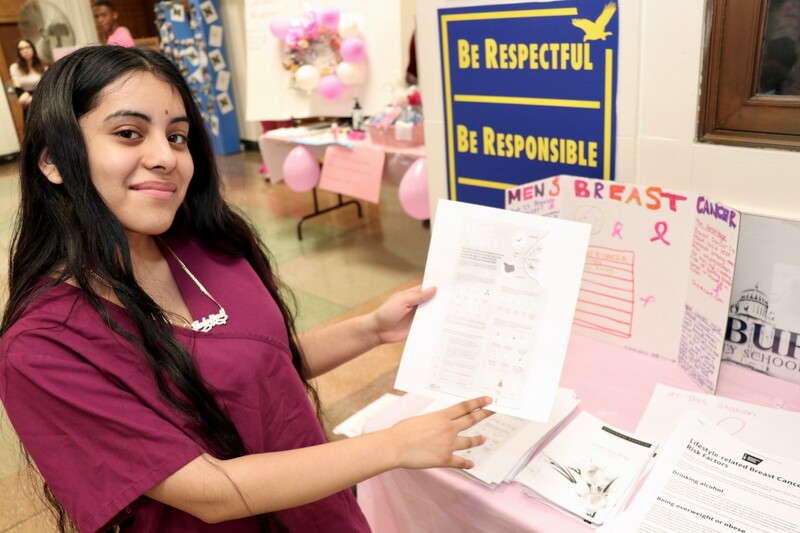 Jadeline Silva, 12th grader handed out information about risk factors and warning signs to look for. 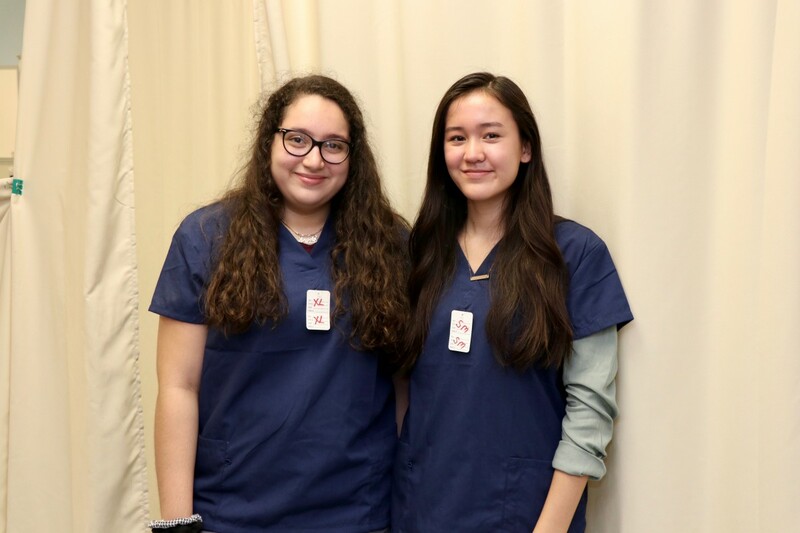 Jadeline emphasized the importance of preventative measures and early detection. She wants to be a physical therapist when she is older. 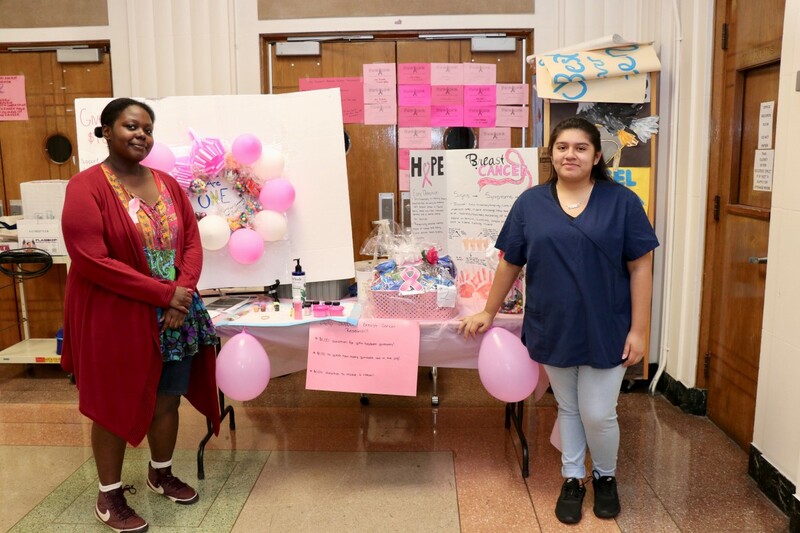 Ashley Simeon, 12th grader and Jennifer Lopez, 12th grader were stationed at a table fundraising for the American Cancer Society in honor of Mrs. Carole Broderick a teacher and a breast cancer survivor. Educational pamphlets, prizes, and unique ways to fundraise were set up to inspire people to donate. 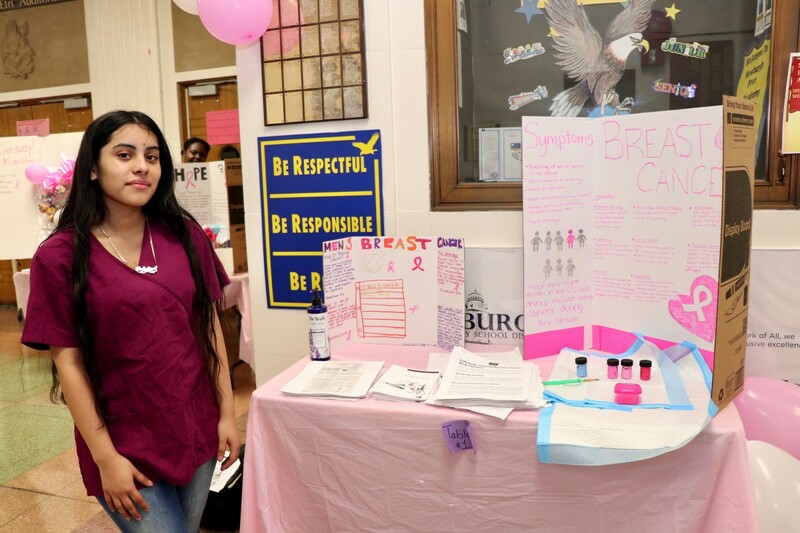 Chris Marshall, Jessenia Soto, and Chasstity Acevedo, all 12th graders, were stationed at the early detection table. They distributed pamphlets that gave directions about how to properly conduct a self-examination. There was a manikin to show proper placement on the body. 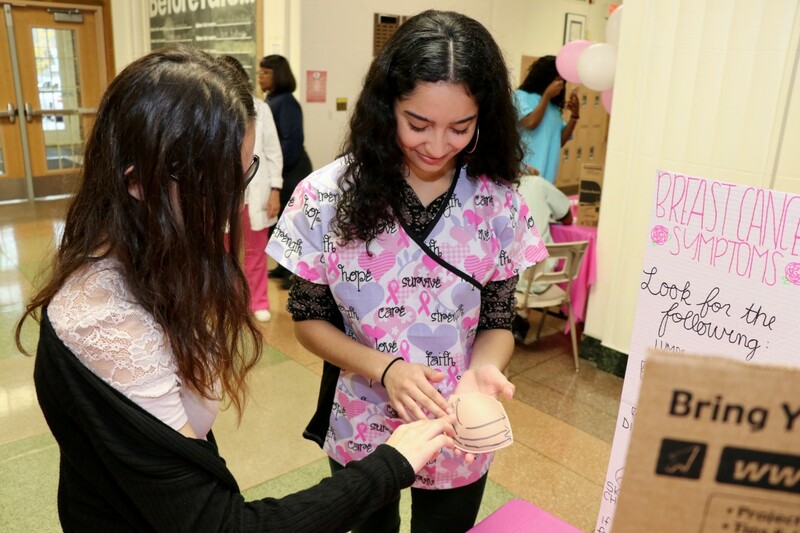 There were also different pieces of material guiding participants through different ways to conduct a breast exam. Participants were able to practice on the displays, some of which contained objects that simulate lump detection. 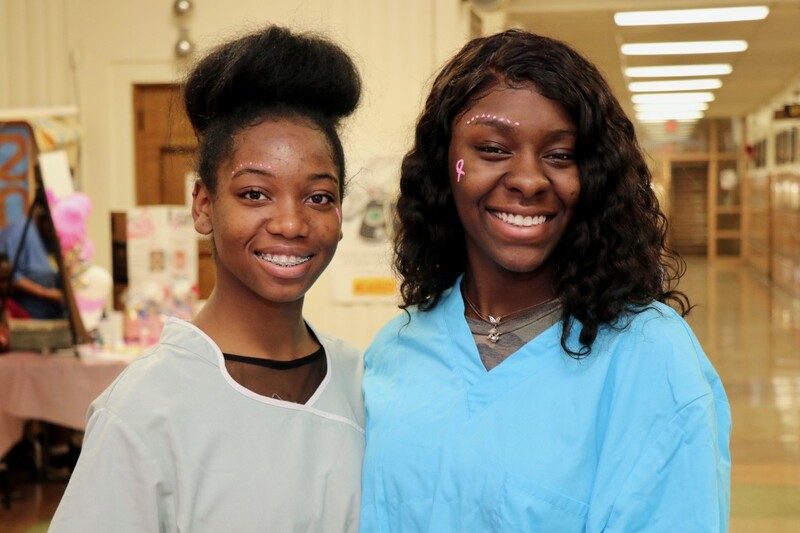 Danielle Simpson, 12th grader and Damaya Grant, 12th grader hosted the face painting table. The celebratory table honored survivors and helped spread the word throughout the building about the event in the lobby. 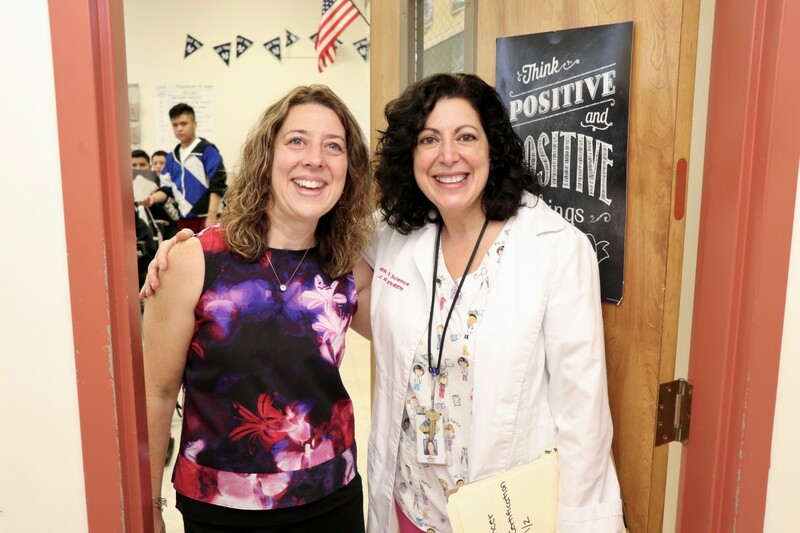 Mrs. Romano plans to continue community outreach with her scholars throughout the year by conducting different health awareness activities throughout her high school building and into the NECSD community. 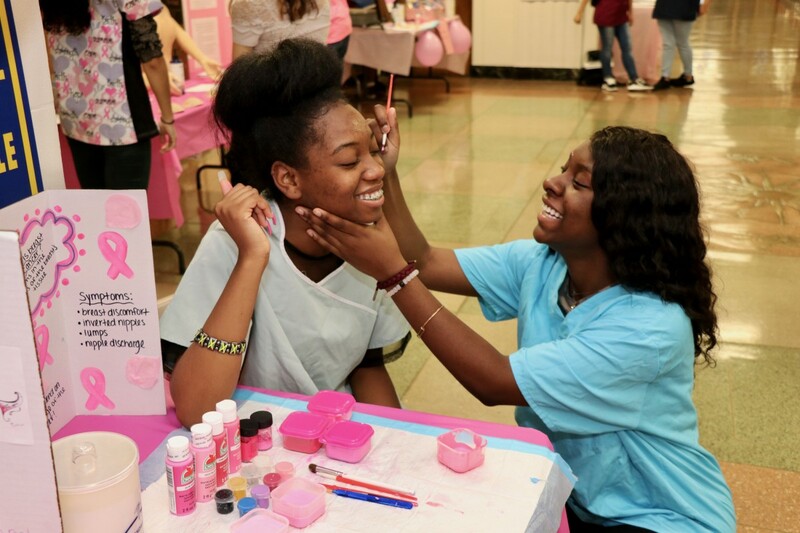 Newburgh Free Academy is hosting a “Pink Out” at the football game on Friday, October 12, 2018.